David is a founder member of NCBC, a Board member since 1991 and Chairman since 2008. After an apprenticeship in Human Resource Management, Production Management and consultancy, with his wife Fiona, David established Williamson Consulting in 1993. He spent six years on the UK Doctors and Dentists Review Body and was a member of the NI Councillors Remuneration Panel. Three children in full time education keeps him working on a range of consultancy, mainly for central and local government. In his rare free time David has many bad habits including classic cars, motorcycles, good wine, blues and jazz music, gardening and DIY. He is keen to see NCBC continue to grow as a valuable resource for North Belfast and a catalyst for economic and social regeneration in the area. Ben joins NCBC bringing senior Board level business development, strategic alliance, governance and business transformation experience from a range of major enterprises in Ireland , the UK and internationally. As NCBC plans to head in new directions going into the New Year and faces the challenges of strategic growth this experience will add value to the Board and the Management Team and new businesses in the area. Living here and married in County Down , Ben has many outside interests that have included being Commodore of Strangford Sailing Club , an active volunteer for Outward Bound , the Wildfowl and Wetland Trust , and , not least, raising with his Co.Down wife five children now forging independent lives here and in the UK. Time now and the experience to focus on contributing to the way forward for NCBC. 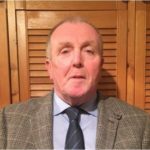 Oliver joined the board in 1995 Oilver is a chartered quantity surveyor and has over 40 years’ experience in the construction industry, and for most of this time ran his own practice. Oliver also volunteers with a number of other organisations in North Belfast. Paul joined the Board of NCBC in early 2017 and has been in business in the North Belfast area for 27 years. As a co director of Carlin Hair he has had multi-nominations for his Colour Work reaching Notional Level and has presented his work on the International Stage as an ambassador for the Hairdressing Industry in N.Ireland, he is also the Chair of the Antrim Road Business Association and Chair and Founder Member of Cavehill Community Choir. Community and Business Development are Paul’s passion and he feels that by developing strong community links this will help drive the local economy. Paul is married, has one son who is still in full time education, loves riding his Vespa on sunny days, has 3 dogs which he takes hill walking regularly and at the time of writing has completed 13 marathons including Dublin, Belfast and London. A North Belfast native, Damian is a founding partner of HHD solicitors and would specialise in Civil and Commercial Litigation. He is recognised as a leading medical negligence lawyer specialising in claims of birth trauma and cerebral palsy. He was the instructed solicitor responsible for securing the largest personal injury settlement in a medical negligence action to date in Northern Ireland being a settlement of circa £8 million. He would regularly represent clients who have suffered catastrophic injury or fatality as a result of an accident at work or road traffic accident. He advises and represents commercial clients in matters of professional negligence, judicial review and contractual dispute, together with commercial property transactions. Damian has been responsible for successfully challenging government departments resulting in universal change to the regulatory framework. He is a member of PNLA (the Professional Negligence Association), a member of Belfast Solicitors’ Association and a member of the Law Society of Northern Ireland. Damian has lectured to Ulster University medical law and ethics students in February 2018 and to the Law Society of Northern Ireland on high value catastrophic brain injury claims in October 2018. Damian lives in North Belfast with his wife and 4 children and enjoys cycling the Camino Santiago de Compostela and travelling to Old Trafford to watch Manchester United. He is also known for travelling far and wide to see Bruce Springsteen in concert. Ian lives in Belfast and was educated at MCB and London University. After graduating in economics Ian studied accountancy. After a spell in practice, he became the Finance Director of a leading Irish brand and was promoted to Chief Executive, holding that position for 16 years. He has much expertise in strategic planning, transformation, finance and marketing. Ian was Chair of PlayBoard, Vice Chair of Sport NI, Director of Sport NI, and is presently Vice Chair of Ark Housing. He has a keen interest in rugby and football, initially as a player and now as an administrator, and holds the positon of Chairman of Rugby at Queen’s University, Belfast. He is married to Lynne with three grown-up children.